For more than 20 years Helen has been serving patients at numerous clinics that she has established throughout Australia. A 1993 graduate of RMIT in Melbourne, Helen also has a concurrent triple major degree in Zoology, Pharmacology and Immunology. She has also served as a clinician for a period at the Murdoch University course for chiropractic training here in Western Australia. 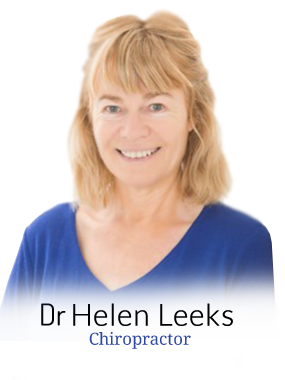 Having previously practiced from her own clinic, Revitalise Chiropractic, Helen is currently practising from Tassell Chiropractic in Riverton. She also utilises craniopathy, a treatment that facilitates movement within the skull. Regardless of which technique she uses, Helen always endeavours to provide gentle, low-force adjustments. In addition to performing chiropractic techniques, Helen also provides patients with custom-tailored rehabilitative exercises as well as guidance on nutrition and how to lead a balanced lifestyle. Helen is a registered chiropractor who is recognised by the following: WorkSafe, MVA and DVA. She is a member of SOTO Australia and the Chiropractic and Osteopathic Association. If you would like to discover more about what chiropractic may be able to do for you, contact Tassell Chiropractic in Riverton today to book an appointment with Helen!